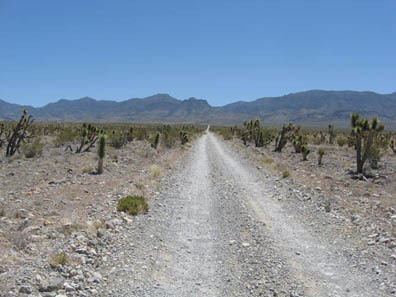 On Wednesday I went to the Desert National Wildlife Refuge to check out Corn Creek and Hidden Forest. Corn Creek is an existing waterway that is maintained and improved for the benefit of wildlife. Hidden Forest is an obscure location. Early settlers tried unsuccessfully to set up a sawmill there, but lack of permanent water made it impossible to achieve that goal. 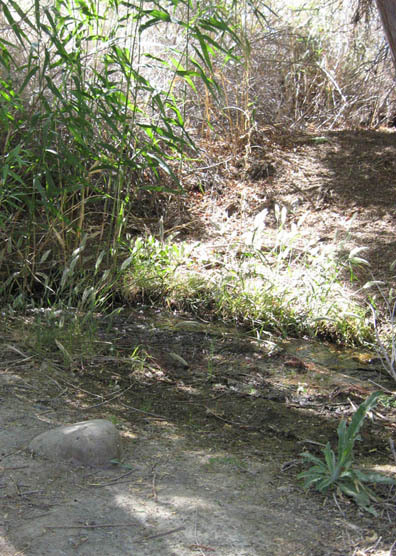 It's a bit odd to see a creek and wooded area in the desert. 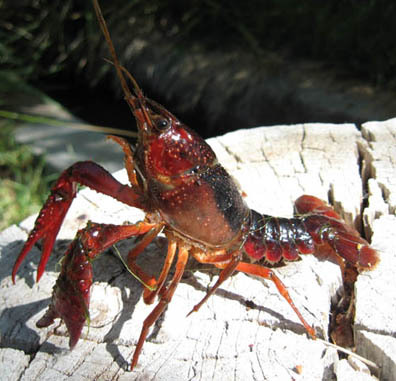 This red crayfish was pretty neat. If there's enough water, Cottonwood Trees will grow - even in arid places. 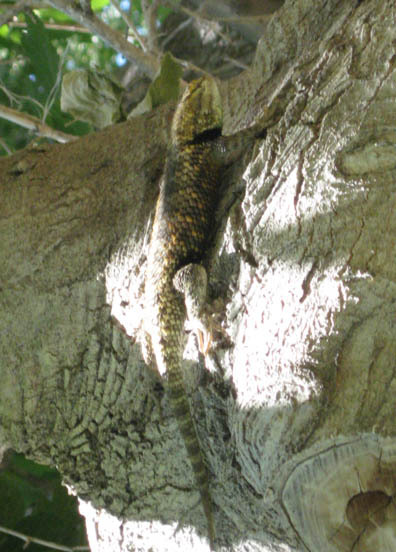 And where there's Cottonwood Trees in the desert, there are often Spiny Lizards hanging out in them. 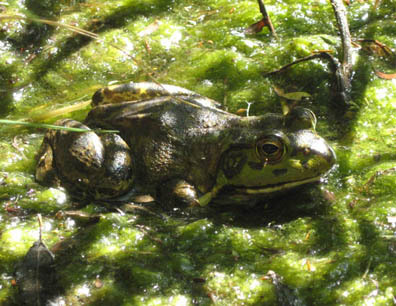 American Bullfrogs are not native to the southwest, but they can be found at a surprisingly large number of locations. 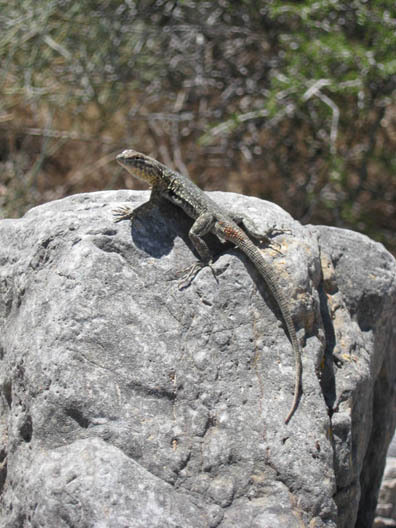 Whiptails were the most commonly encountered reptile on the trip. 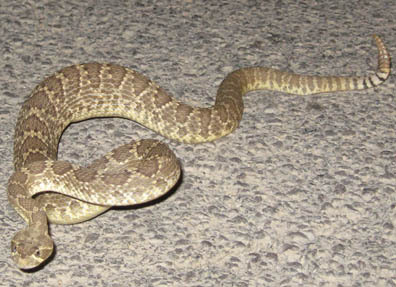 They were often seen crossing roads. The road to Hidden Forest is long and treacherous - I do not recommend driving it in a Toyota Yaris. 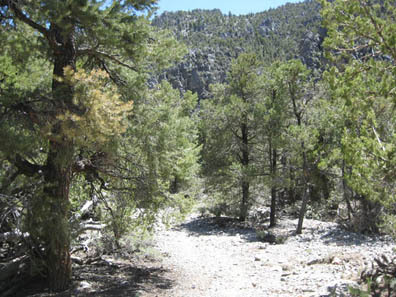 Once you get to the end of the road, a four-mile uphill hike is required to get the the forest. 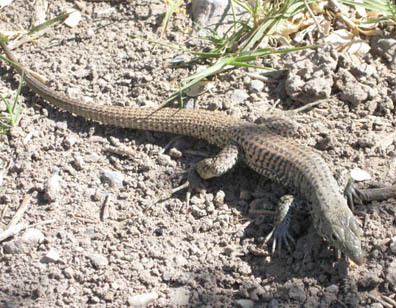 The hike starts in a typical desert flatlands environment - a fair number of Side-blotched Lizards were present. 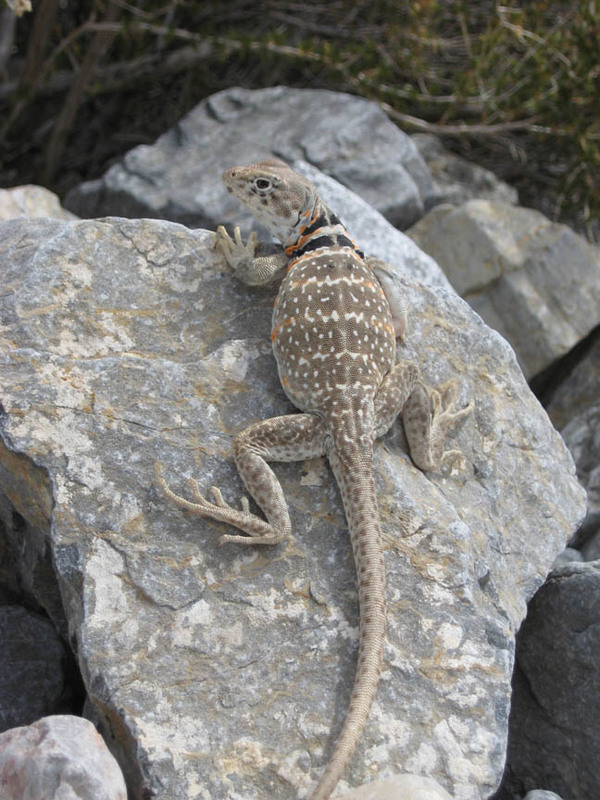 As the terrain became rocky, Collared Lizards were seen. 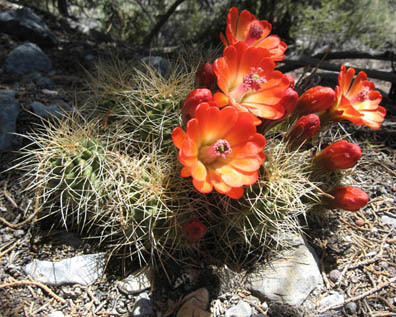 A trailside cactus was one of the many cool non-reptile things to see. 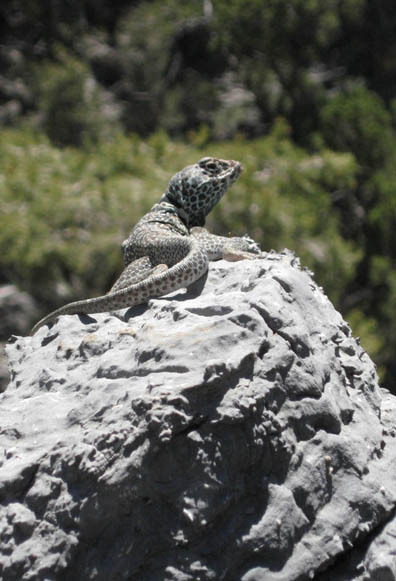 This male Collared Lizard was high up on a rock ledge. 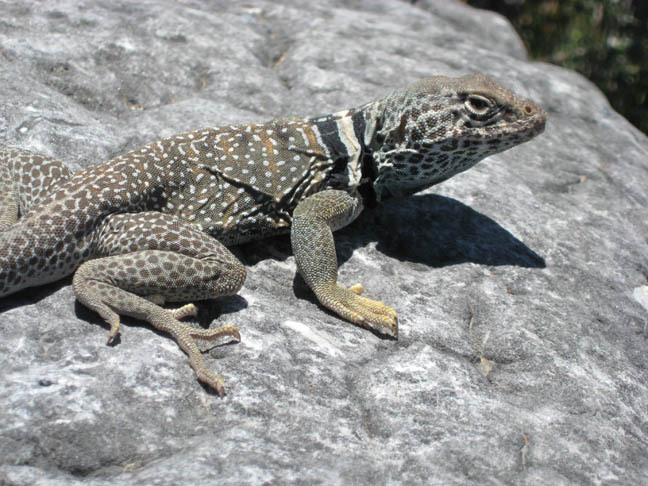 These lizards get their name from the markings around their necks. 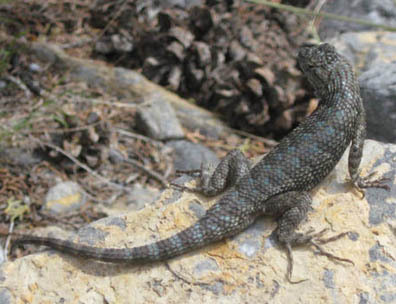 At least six species of conifers make their home in Hidden Forest. 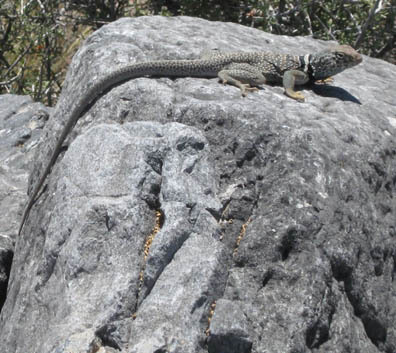 Despite their name, Sagebrush Lizards rarely climb shrubs. 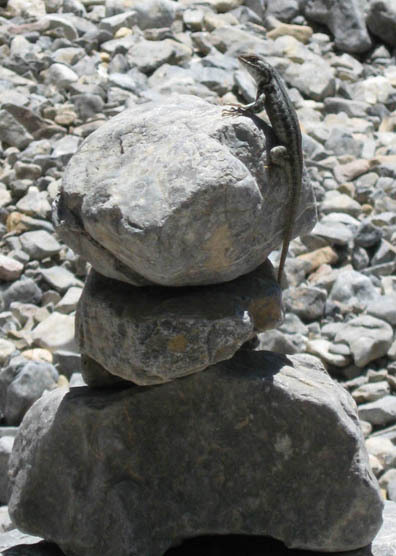 In the right environment they can be seen perched on rocks. 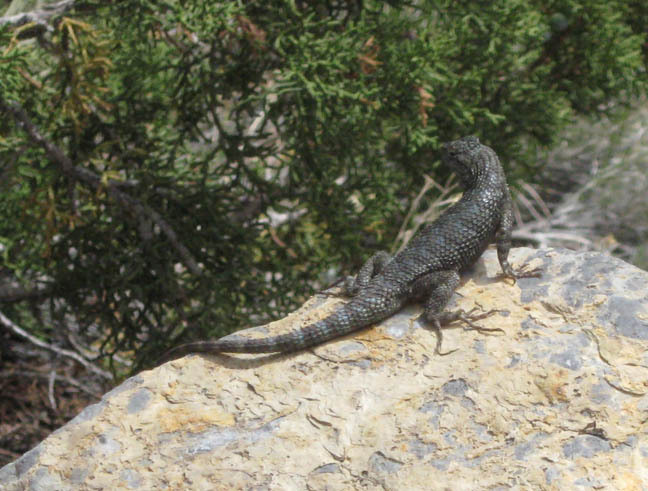 This male Great Basin Fence Lizard had some cool coloration. 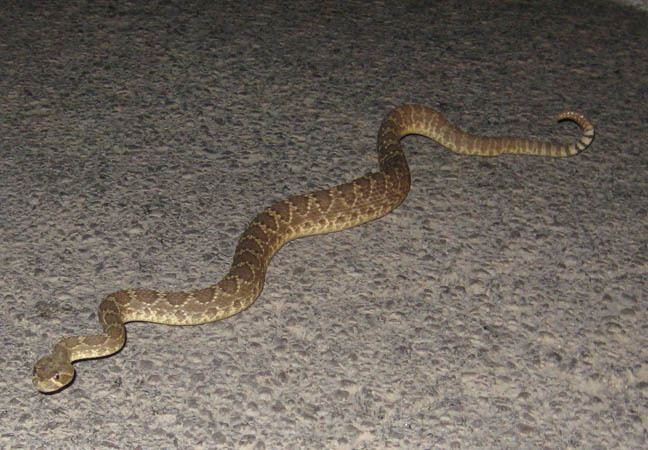 I found this Mojave Rattlesnake crossing the road later that night.